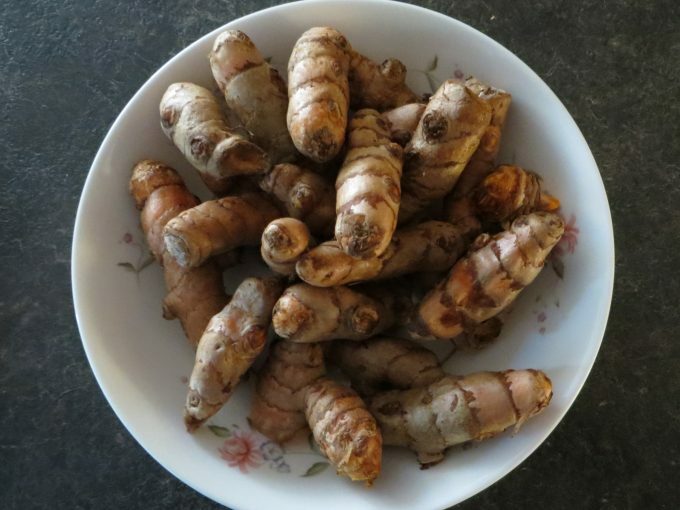 Turmeric / Curcumin (Curcuma longa) is an herb which has become very popular in recent years. It is a traditional medicine; an antioxidant with anti-inflammatory properties which “may” inhibit cancer cell growth. In the last few years, recent studies are confirming the positive health attributes of this spice. Nutrition data for turmeric. 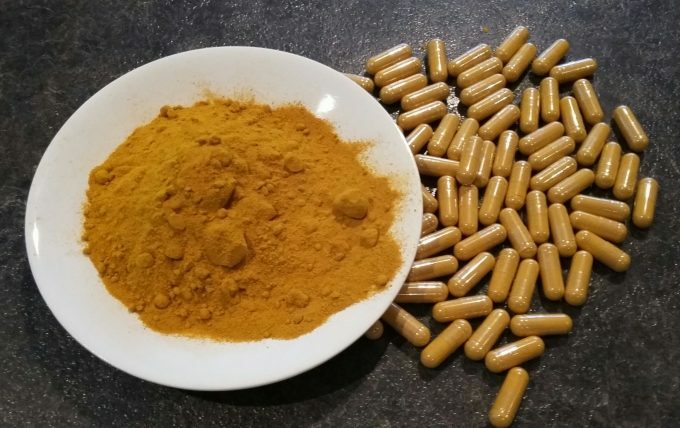 A phase 1 human trial with 25 subjects using up to 8000 mg of curcumin per day for 3 months found no toxicity from curcumin. Five other human trials using 1125-2500 mg of curcumin per day have also found it to be safe. These human studies have found some evidence of anti-inflammatory activity of curcumin. Recently I was given a gift of organic Turmeric Tea, with lime & lemon verbena, from Madagascar. The tea is an enjoyable addition to our regular teas and is Fair Trade Certified. Look for similar in your area. Since publishing the original CAP article on Turmeric in 2012 more scientific and medical information has become available through research. “In India, Alzheimer’s disease is relatively uncommon. Many research studies and peer-reviewed information online unfortunately was dated before 2010. It is good that further studies are taking place, including trials with people. The best way for us to consume turmeric is the way it comes out of the ground or as pure and natural as possible. Start adding turmeric slowly as it has a strong flavor. 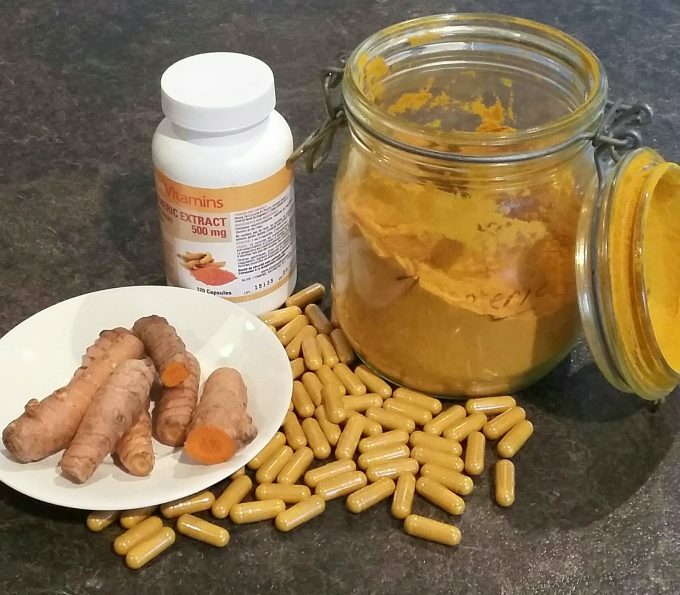 We have added fresh turmeric root, powder and supplements to our daily diet since 2008 with no side effects. There are many claims for this “wonder” spice and more and more clinical studies and research are verifying these claims. Hoping this article will keep you informed on what is developing in this area. Safety and Anti-Inflammatory Activity of Curcumin: A Component of Tumeric (Curcuma longa). Nita Chainani-Wu. The Journal of Alternative and Complementary Medicine. July 2004, 9(1): 161-168. doi:10.1089/107555303321223035. The information contained in this blog is based on personal opinion & experiences & is not to be misconstrued in any way as health care advice but is provided for interest & hopefully learning purposes. Always seek qualified medical care & guidance if you think you have a health concern. Changes – it has been noticed (August 2014) that over the years referenced links from other sources have sometimes been deleted or substituted since original publishing of Caramel & Parsley articles. The author assumes no responsibility for all content including information from other sources & links.